* 1. What time of day was your tee time? * 2. What was the date of your round? * 3. Did you walk or use a riding cart? * 4. How often do you golf each year? * 5. How often do you play the Downers Grove Golf Club a year? * 6. How would you rate the overall golf course conditions? * 7. How would you rate the greens conditions? * 8. How would you rate the fairways conditions? * 9. How would you rate the bunkers conditions? * 10. How would you rate the customer service in the Clubhouse? * 11. How would you rate your interaction with the Starter? * 12. How would you rate your interaction with the Ranger? * 13. How would you rate your interaction with the beverage cart attendant? * 14. How often did you see the beverage cart? * 15. How would you rate the selection of beverages? * 16. Did you eat any food in the Clubhouse? * 17. If yes, what did you purchase today? * 18. How would you rate the food 1-5? * 19. 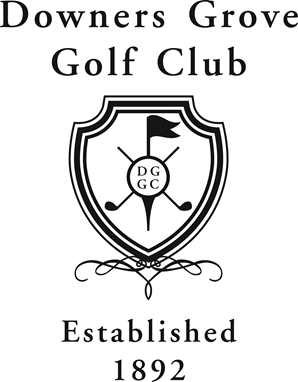 Do you plan on playing the Downers Grove Golf Club again this year? * 20. Would you refer a friend? * 22. Please feel free to leave any comments or suggestions in the field below. You will receive an email which will have a coupon for a free fountain drink. The coupon can be redeemed in the Clubhouse, thank you for your input. You will also be placed in a monthly drawing for a free round of golf.